RESILIENT JAPAN Ep. 02 TOTO Ltd. | jibtv.com | Japan International Broadcasting Inc. 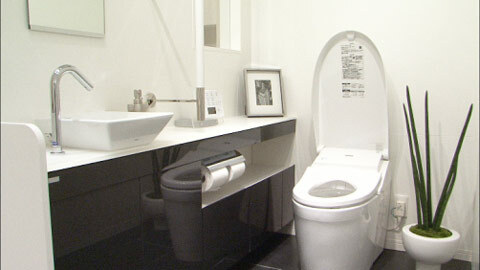 Toilets made in Japan are designed with attention to cleanliness and ease of use. The features are so advanced that they sometimes take customers from abroad by surprise. Hollywood celebrities are among their many fans. TOTO often leads the industry in innovation. It expands its business by continually improving its products. The global financial crisis of 2008 hurt sales and sent the company into the red. But Harimoto, who became CEO in April of 2009, engineered a turnaround in two years. He talks about the success and the technology that goes into high-tech toilets.